The remarkable transcriptions for piano trio of Verklärte Nacht by Arnold Schoenberg and Langsamer Satz by Anton Webern, composers of the Second Viennese School, allow us to hear in a strikingly novel way the emergence of a new musical language at the turn of the 20th century. 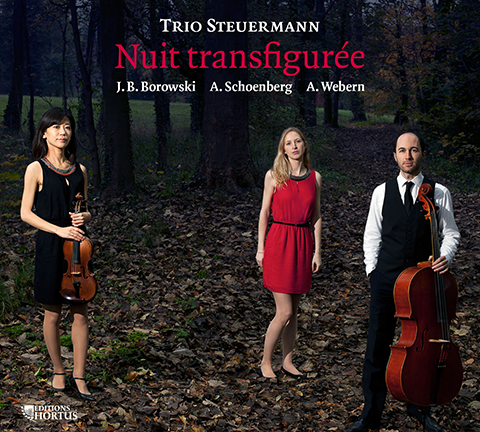 Today, this genre remains equally compelling, attested by Klaviertrio of Johannes Boris Borowski dedicated to the Trio Steuermann. The young German composer has managed to reconnect with the search for innovation crucial to his illustrious predecessors; similarly to them, he lias succeeded in speaking to our hearts and minds.